After the 1973 Chilean military coup Raúl Ruiz was forced into exile and relocated to Europe. 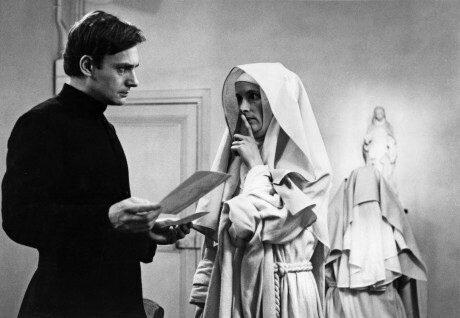 The Suspended Vocation, Ruiz’s breakthrough film in France is a highly original literary adaptation of philosopher Pierre Klossowski’s novel. As Ruiz has stated 'this book talks about all the quarrels inside the church, of different factions in the Catholic Church. This was not very different from the discussions and quarrels inside the Left movement in Latin America.' Shifting between two time periods and mixing colour and black and white, the film blurs ideologies to question our co-dependent relationship to institutions. This labyrinthine work reflects the trauma of the radical left, whilst seeking a way out of the political impasse of the 1970s with a new form of subversive aesthetically playful political cinema.